Kelley Blue Book’s Best Buy Awards honor the best of the best. The winners are selected based on criteria including “affordability, quality, driving dynamics, dependability and low cost to own.” Honda models won the title in six different classes and offers drivers excellence on the road. The Honda Civic is a compact car that comes in a coupe, sedan, or hatchback body style. Able to maneuver easily through tight spaces, the Civic offers a spacious cabin inside and impressive amenities to bolster comfort and provide helpful conveniences. A legend on the road, the Honda Accord is a midsize sedan that has style and sophistication in droves. Well-equipped, even the standard model comes with dual-zone automatic climate control, Honda Sensing driver-assistive technology, and more. And with a hybrid engine option, the Accord can achieve incredible fuel economy. The Honda CR-V is versatile and dynamic on the road. With available AWD, a 2nd row magic seat that can accommodate more cargo without sacrificing passenger space, and great features, the CR-V is poised for adventure. The Honda Pilot is a stylish yet family-friendly SUV with tons of space for both passengers and cargo. With great utility features, including AWD and an impressive towing capacity, the Pilot is a great companion to have on any road. Inside, drivers can expect technology such as an available rear entertainment system, and luxury with leather-trimmed seats. The ultimate minivan, the Honda Odyssey has it all. The cavernous cabin space is perfect for families whether you’re on carpool duty or the weekend camping trip. Inside, the Odyssey has something for everyone in the family to get excited about including a rear entertainment system, an in-car PA system, a built-in vacuum, and more. The Clarity PHEV is a plug-in hybrid that achieves incredible fuel economy. It’s not just a better choice for the environment, it also allows drivers to drive longer distances between visits to the pump. And with a powerful performance and high-tech amenities inside, the Clarity is a versatile commuter. 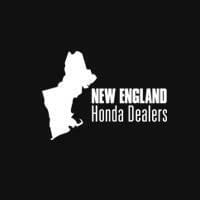 Find out more information on any of these award-winning models by contacting us or visiting your nearest New England Honda Dealer. Explore current offers and experience the model that is right for you firsthand with a test drive today.